The native people of Madagascar are here to show you around their island and there's a lot to see: lemurs, tortoises, giraffes and even a black panther lurking at the bottom of the screen. There is also a feedback form which existing and future customers can use to contact the travel agency. The client publishes content and maintains the site independently. The website was designed in a uniform style, featuring all of the foundation's payment documents, stands, handouts and packs. 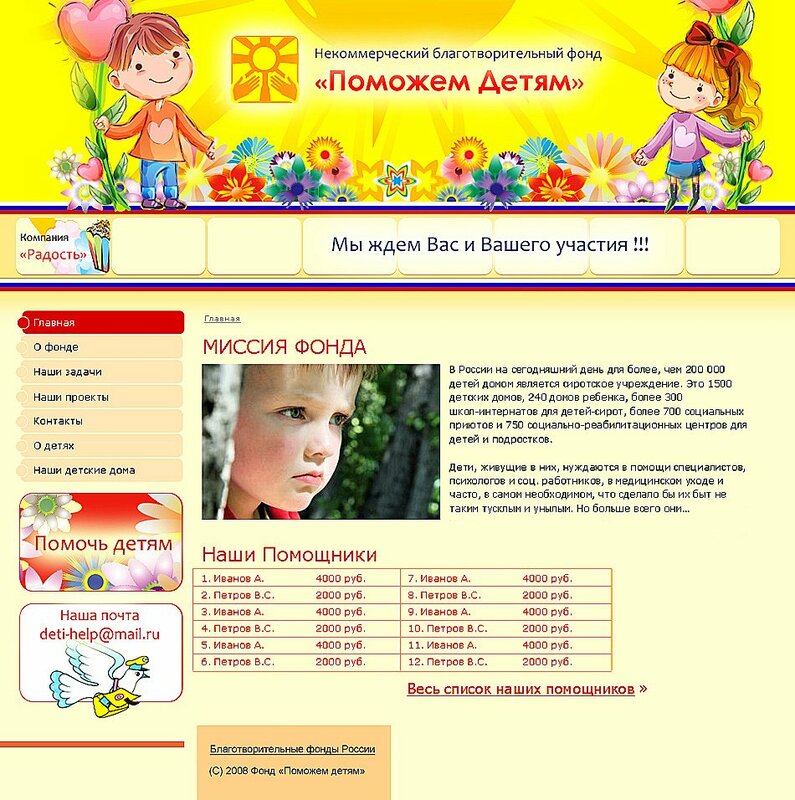 When opening the “Help the Children” webpage, you are greeted with cheerful applause thanking you for your visit. 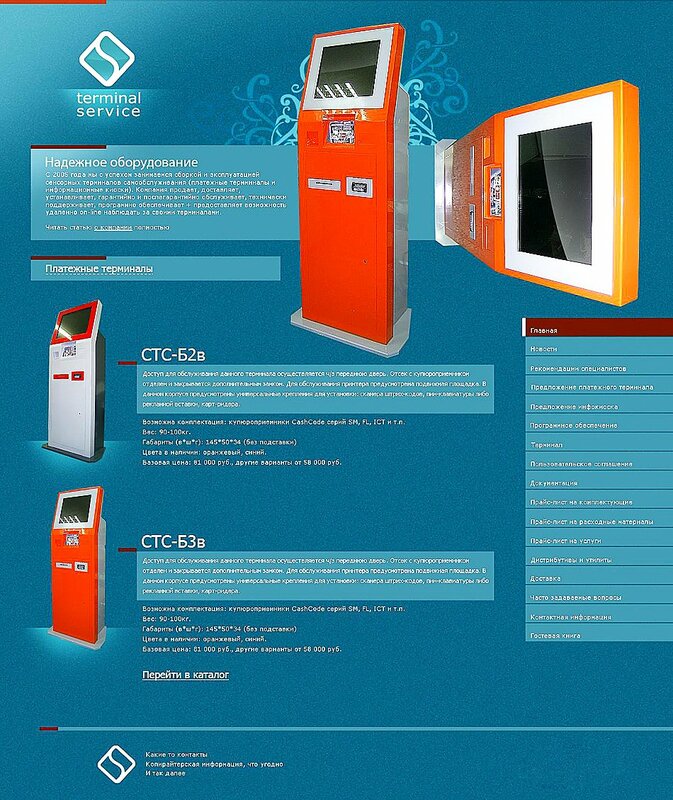 Developed website for Terminal Service, which produces and supplies cheap, high-quality terminals. The website includes a catalogue of basic products, including: payment terminals, information kiosks and components. The website background resembles the wall of a large safe and evokes associations of reliability and security. Development of a site for the largest company in the region specialising in uninterruptible power supply systems. While working on the design our specialists used a collection of templates. 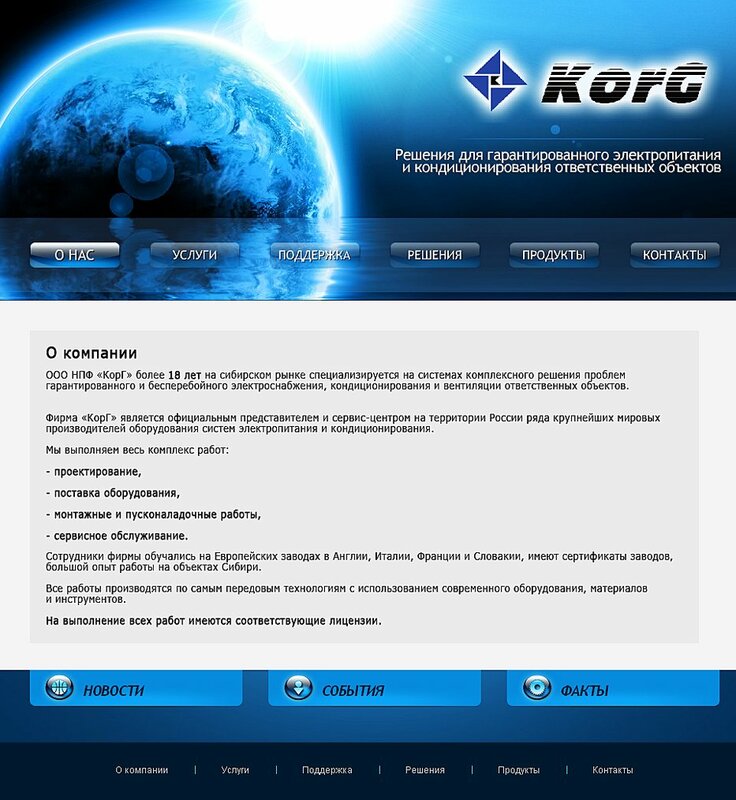 The site header was adapted and translated: buttons, flash animation, and the company logo were embedded. The sections of the site were completed by EDISON specialists.